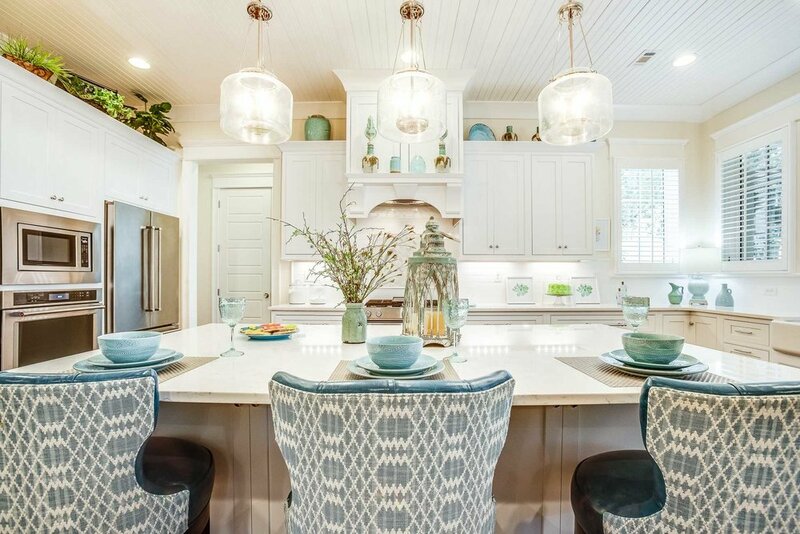 The predominantly white kitchen remodel for this Highlands neighborhood home in Tuscaloosa was completed following a fire. Highlights of this kitchen remodel include custom cabinetry, a large kitchen island, pre-finished wood flooring, and a bead board ceiling. The kitchen design included a large bank of Sierra Pacific windows that brings ample natural light into the space. Large corbels were used in both the kitchen island and on the custom range hood. 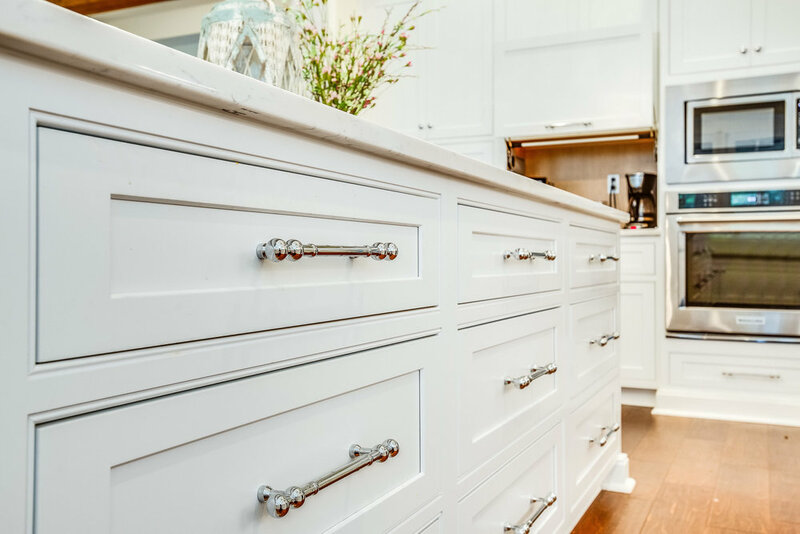 The cabinets, including range hood with custom stainless steel insert and the hinged doors for appliance storage cabinets are from Shiloh Cabinetry. The backsplash tile behind the range is marble in a herringbone pattern. The appliances are by Kitchen-Aide and the farmhouse sink and two-hole deck-mount bridge kitchen faucet are by Kohler.